“Look up in the sky! Is it a bird? Is it a plane?” Nope, just another sketch model flying out of the studio window, armed with powers of frustration and rage of its creator: the architect. 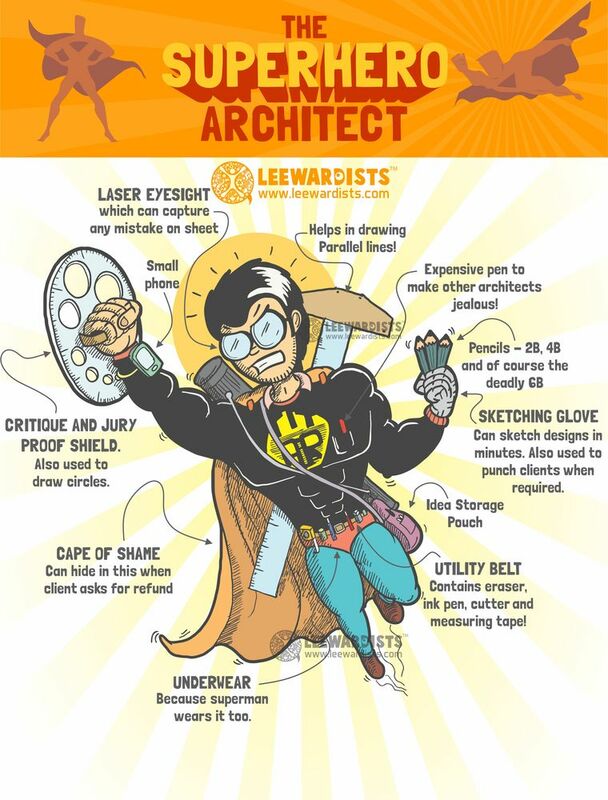 Asides from all technical know-how and caffeine tolerance levels, successful architects have a specific set of gifts that set them apart from regular citizens. These superpowers, gained through the slice of the radioactive cutter, are essential as they fulfill their destinies meeting budget constraints (BAM! ), producing spectacular ideas (POW!) and managing clients’ expectations (KABOOM!). But most important of all is the iconic underwear. You didn’t think just anyone could pull that off now, did you?